Where Jared Diamond had the “stench of racism,” George Yancy has “the stench of the racist catastrophe.” And there’s more where that came from: Yancy speaks of “vileness,” “hatred,” “racial disease,” the “emptiness” of White America, and the “racist vomit” of White America. All this would be amusing if it were not so typical of Black self-righteousness and so redolent of the violence constantly directed by Blacks against Whites not just in America but everywhere Blacks come into contact with Whites, from South Africa to Britain. Yancy plainly believes in the same blood libel as Susan Sontag. For him too the “white race is the cancer of human history,” uniquely culpable and uniquely — indeed innately — evil in its treatment of oppressed and traumatized Blacks. Recall his demand for a “courageous conversation about race.” By that, he means that Blacks will deliver a self-righteous monologue that Whites must accept without question. But his posturing bursts like an over-inflated bladder at the first prick of logic. If we’re all the same under the skin, it is merely chance that Whites oppressed Blacks and not vice versa. Jared Diamond claimed that Europe had easily domesticable species and Africa didn’t (others disagree). That biogeographic luck translated into a technological and military superiority for Europe that, yes, Europeans chose to exploit in “racist” ways. But Black Africans would have done the same if the historical and biogeographical dice had rolled in their favour. Anti-racism states that we are all the same under the skin — intellectually, temperamentally and morally. Talk of “stenches,” “racist vomit” and “vileness” is therefore irrational and illogical. But such talk will continue, because anti-racism is no more based on logic than feminism is. Both of these ideologies are fueled on hatred and aim at capturing power, not creating equality. Both seek to privilege an innately virtuous in-group over an innately wicked out-group. For anti-racism, the in-group is non-Whites and the out-group is Whites; for feminism, the in-group is women and the out-group is men. Or rather: the out-group for feminism is White men. After all, feminism and anti-racism are what the Guardian would call synergistic: they work together to capture power and privilege for leftists. But there are huge contradictions within them that cannot be discussed within the mainstream. Let’s examine what anti-racism would regard as the central evil of history, that is, slavery. You might call it the worst patch of “racist vomit” splattered across the world by White supremacism and the deepest wound inflicted on the Black psyche by Whites. Logic dictates, therefore, the slavery must be deeply abhorrent to Black Africans, and particularly to those Black Africans who are educated enough to understand the true horror and depravity of the Atlantic slave-trade. 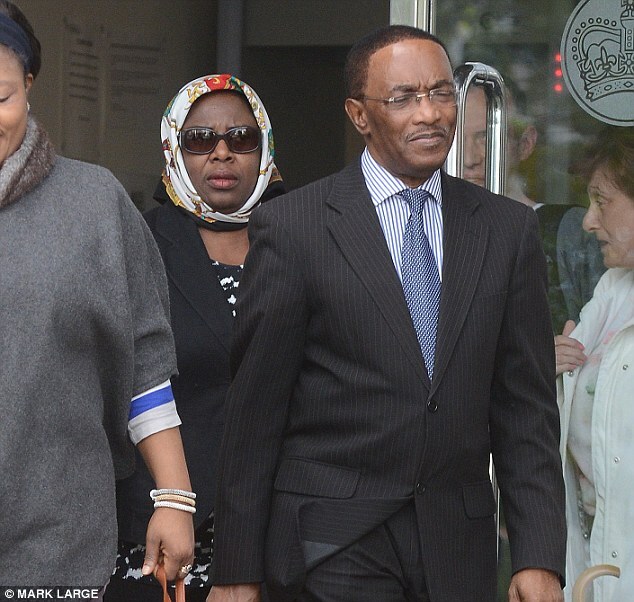 Emmanuel and Antan Edet were highly educated Blacks who saw nothing wrong in keeping a slave for “almost quarter of a century.” A similar case occurred in America a year later, when the Nigerian couple Chudy and Sandra Nsobundu were convicted of forcing “a Nigerian woman to work nearly 20 hours a day taking care of their home and five children and home without pay for two years.” Slavery is part of modern Nigerian culture. It is also part of modern Filipino culture: the late Filipino-American journalist Alex Tizon won widespread acclaim for his essay “My Family’s Slave,” a moving and disturbing account of a woman who was exactly that: a slave to his family for fifty-six years. 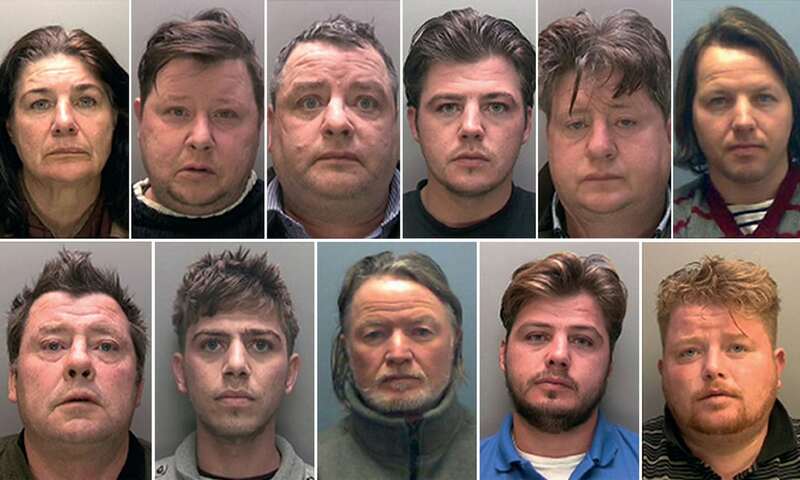 Eleven members of a Lincolnshire family have been convicted of a series of modern slavery offences after forcing at least 18 victims — including homeless people and some with learning disabilities — to work for little or no pay and live in squalid conditions for up to 26 years. The members of the Rooney family, who were based on Traveller sites in Lincoln, targeted vulnerable people, including some with alcohol or drug addiction, and deliberately looked for potential captives on the streets, Nottingham crown court heard. In fact, it was Whites who rescued slaves from minorities like Nigerians and Travellers. Furthermore, in each of the stories above the slavery was neither accidental nor anomalous. Instead, it was part of a deeply rooted culture in which the slave-owners regarded themselves as superior and fully entitled to enslave members of an inferior group. In short, racial supremacism was at work. All the vices attributed exclusively to Whites by anti-racism exist among non-Whites — indeed, flourish among non-Whites. That is reality, but leftist ideology is based on the denial of reality. It claims to seek equality while actually seeking power. But its contradictions and illogicalities are no handicap when critics of leftism are easily silenced or discredited. Thanks to alternative media and the internet, it has become harder to silence critics and other dissidents. And although the left made frantic efforts to discredit Donald Trump, he won the US presidency against massive odds. Furthermore, scientific research is now moving decisively and unstoppably against the fundamental axiom of anti-racism. Human groups are not all equal in potential and racism does not explain non-White failure. As leftist ideologies of unreality come under increasingly scrutiny, their true aims will become more apparent. Anti-racists don’t really believe in human equality. They are motivated by hatred of Whites, not by love of humanity. They have sought to deny Whites any positive identity while encouraging non-Whites to assert themselves in ever more self-righteous and aggressive ways against the White majority. But identity politics only works for the left when it is a one-sided game. The election of Donald Trump showed us that Whites are beginning to play the game too. Now nationalist parties are rising or already in power across Europe, from Hungary and Poland to Italy and Austria. And when identity politics become a two-sided game, Whites will win.